If you own or manage a commercial property in Northglenn, make sure you know who to turn to when you need lock and key services to make your property more secure. Our experienced commercial locksmiths in Northglenn, CO, have been serving customers for several years and we offer a full range of services for all types of buildings. Whether you need new locks installed, security system maintenance services, locks replaced, or panic bars installed, just give us a call and we will take care of the project immediately! Our technicians are available 24/7 to help customers after business hours, on weekends, or even in the middle of the night! You can count on us to be at your location in 30 minutes or less. And, we offer some of the most affordable rates on all types of commercial locksmith services in Northglenn, CO. Maintaining a high level of security for your property is always a top priority. If you need to have new locks installed, security systems updated, or any type of alarm system installed in your office building, warehouse, or other commercial property, give us a call for fast and efficient service. Our technicians have extensive experience working with all major brands and types of locks — we can even provide a recommendation on a particular type of lock or alarm system for your building if you need it. 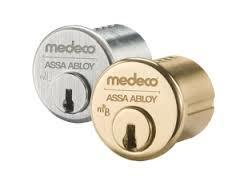 We are here 24 hours a day, 7 days a week to take care of all your lock and key needs. Call our commercial locksmith in Northglenn, CO at (303) 749-0172 today!